NRG Heating and Air Conditioning has been operational for over 25 years now. With more than two decades of experience and a team of highly qualified technicians, our company provides a range of heating and air conditioning systems services including providing clients with preferred high quality climate control, installation and repair of solar systems and condensers, as well as AC repair and installation services. 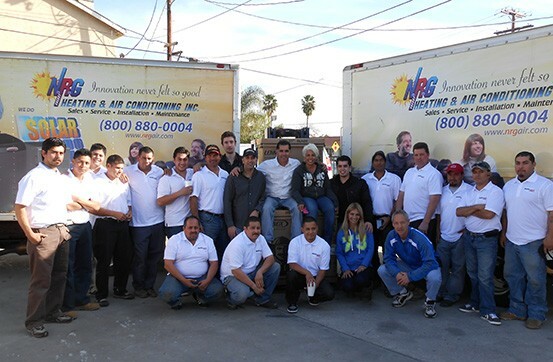 Having trained its professionals to perform their duties with utmost dedication and with customer satisfaction primarily in mind, NRG Heating and Air Conditioning ensures that the work performed is of the best quality, whether it is heating system installation or repair, solar panel installation or repair, or AC repair and installation. We keep our customers comfortable all year through with our exemplary services and time- and cost- efficiency. Our technicians are well equipped to handle heating and cooling systems from various brands and our service is licensed, bonded and insured, which means that our clients have nothing to fear in terms of financial losses. What’s more, we ensure that our heating systems and AC repair and installation services are conducted with great time management through quick and effective response to emergency requirements. We enjoy providing our services and thereby impacting a large number of towns and communities. Our services expand around the areas of Los Angeles, Orange County and Venture Counties, including areas such as Encino, Goleta, Sherman Oaks, North Hollywood, Canoga Park,Agoura Hills, Chatsworth, Glendale, Studio City, Reseda, Mission Hills, Alhambra, Santa Barbara,Porter Ranch, Los Angeles, Montecito, Solvang, Oak View, Camarillo, Simi Valley, Carpenteria,Santa Clarita, and Palmdale among others. Call 800-880-0004 for more information.